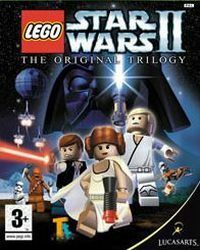 LEGO Star Wars II: The Original Trilogy is a continuation of one of the best made electronic and entertainment products of 2005. According to the subtitle, this time the developers focused on three episodes of the Star Wars film cycle, shot by George Lucas in 1977-1983. With a comical take on the Star Wars Trilogy that revolutionized pop culture forever (Episode IV A New Hope, Episode V The Empire Strikes Back and Episode VI Return of the Jedi), LEGO Star Wars II follows the Rebel Alliance's battle to dismantle the Galactic Empire and rebuild a galaxy in pieces. From Darth Vader's pursuit of Princess Leia aboard her Blockade Runner to a showdown on the reconstructed Death Star, the game includes even more of the family-friendly LEGO action, puzzles and humor that earned the original LEGO Star Wars such popularity and acclaim. And much more new to offer, it still has. For the first time ever, levels feature vehicles and creatures that players can ride or exit at will. Also, in LEGO Star Wars II's Free Play mode, gamers can customize more than 50 new playable characters by mixing and matching body parts, to build their own LEGO Star Wars heroes. And on certain platforms, a game save from the first LEGO Star Wars can unlock as many as 56 additional characters for Free Play -- that's more than 100 characters total, plus millions of possible creations! Other exciting additions include the ability to Free Play with vehicles, cool new character-specific attacks and maneuvers, playable mini-kit vehicles, an optional advanced mode for experienced players and more. Walkthrough, hints and more. LEGO Star Wars II: The Original Trilogy takes the fun and endless customization of LEGO and combines it with the epic story, characters and action from the original Star Wars movies that revolutionized pop culture forever.